MAN IS CONFUSED AND TERRIFIED ABOUT GLOBAL WARMING. And He Does Not Know What To Do! Global warming is the increase in the average temperature of the Earth's near-surface air and oceans since the mid-20th century and its projected continuation. Global surface temperature increased 0.74 ± 0.18 °C (1.33 ± 0.32 °F) during the last century. The Intergovernmental Panel on Climate Change (IPCC) concludes that increasing greenhouse gas concentrations resulting from human activity such as fossil fuel burning and deforestation caused most of the observed temperature increase since the middle of the 20th century. The IPCC also concludes that variations in natural phenomena such as solar radiation and volcanoes produced most of the warming from pre-industrial times to 1950 and had a small cooling effect afterward. GLOBAL RACE: CLIMATE CHANGE VS ENERGY C.E.R. Man, in an attempt to solve Global Warming, is now embarking in a Global Energy CER (Conservation, Efficiency, Renewable). But the fact is Global Warming is faster than Energy CER. WHY MAN CANNOT SOLVE CLIMATE CHANGE BY HIMSELF! This is because the root-cause of Climate Change is the disconnection between Science & Technology, and Religion & Morality. These two must be connected or merged! And the only power to do this is God's MESSIANIC KABBALAH WISDOM! Climate Change is not only about carbon footprints and storage, as many engineers and scientist are suggesting as solutions. It also involves CFC's, airplane contrails, and air pollution, which cause Global Dimming/Global Cooling. Then we have the Ozone Layer Depletion caused mostly by refrigerants. Man cannot solve Climate Change by engineering or scientific methods. Climate change can only be solved by including and merging Spiritual Technologies with the physical technologies. 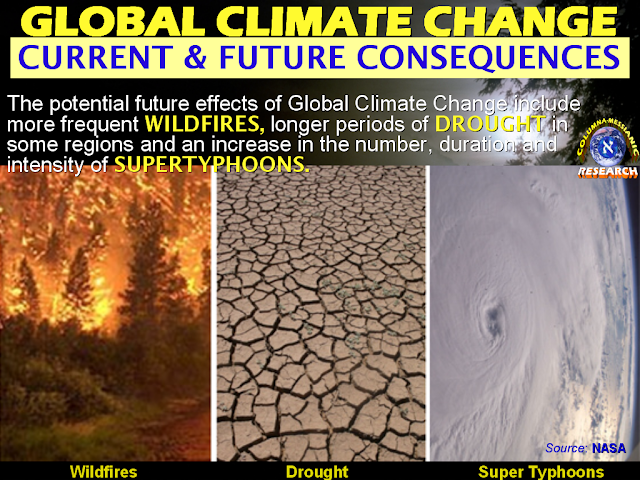 The great scope and magnitude of the destructive Climate Change Effects that developed since the Industrial Revolution is beyond human solutions now. Yes, we can do little or big actions of our own to help, but we must face the fact that man is nowhere to go except to return to God by repentance and spiritual transformation. WE MUST LISTEN TO GOD NOW. GOD IS THE ONLY ONE WHO HAS THE SOLUTIONS! CLIMATE CHANGE is God’s warning to each one of us, that we should change our thinking and lifestyle. If not, all our efforts are just talks and commercials. And we pay the price of destruction, sufferings, and death! We must be wise enough to really understand Climate Change. We must listen to God Himself, as He explains the causes and solutions to the fearsome Climate Change! THE FACT THAT ALL THINGS WILL BE BURNED, WHAT KIND OF PERSON SHOULD YOU BE? Why Not Live Now in Holy Behavior and Godliness, which is the ONLY Way of Escape!